About the Author: Kai Rainey lives with her husband of 21 years in Tucson, Arizona. 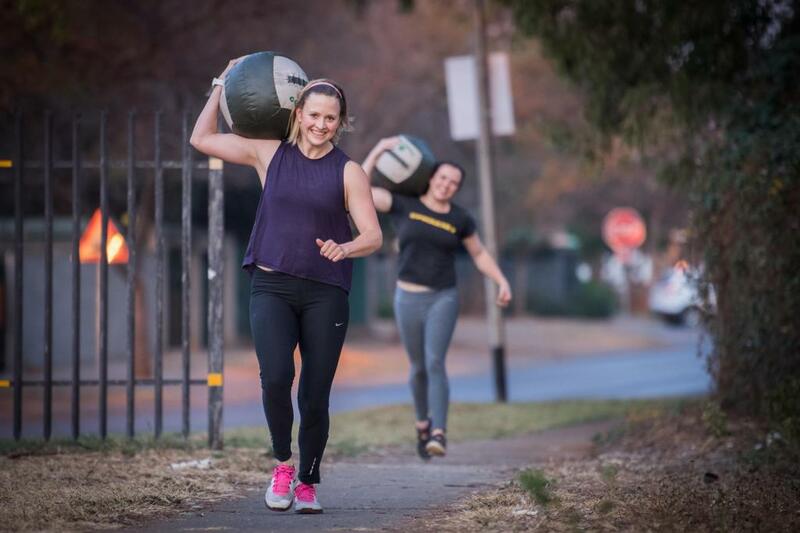 In November 2017, she earned a CrossFit Level 1 Trainer Certificate. She hopes to reach others who are battling obesity and help them take steps to reclaim their lives. Read more at Mylastfatsummer.com. From the outside, no one can tell that you think about your health and fitness every single day. Nothing about your actions or appearance suggests that you care. 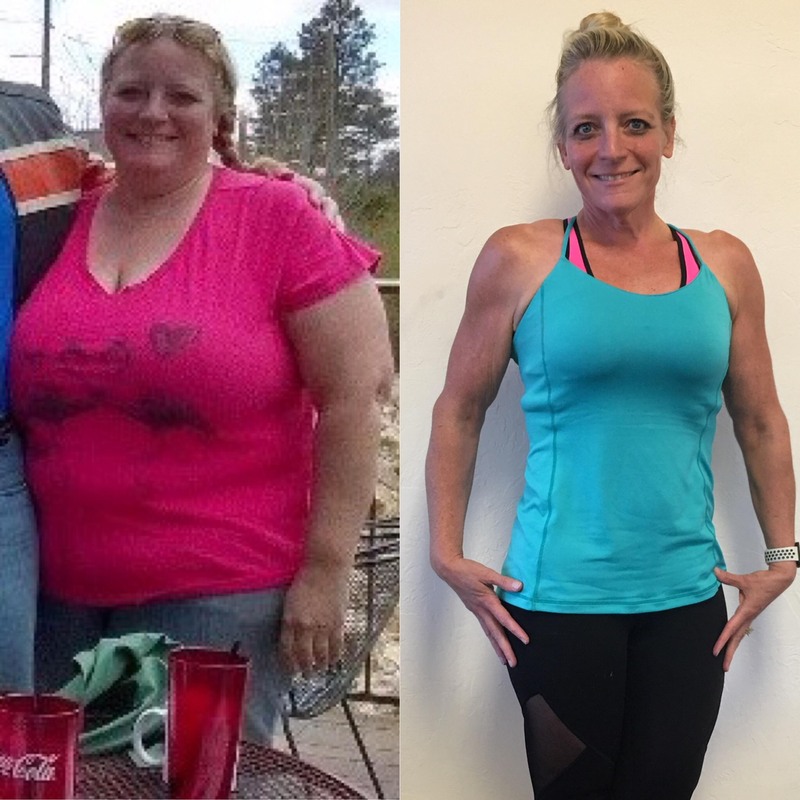 At 42, I was over 300 lb.—officially morbidly obese, with a BMI of 49.9. Painful hip joints, painful knees, plantar fasciitis and minimal capacity to breathe all dictated a sedentary life. I could see the future: I knew my quality of life would continue its downward trend. I know it feels like you woke up fat one day. You didn’t, of course, but by the time you realized your weight had become a problem, you had more than a few pounds to lose. Maybe you saw a photo of yourself and didn’t recognize the chubby person in the back until you identified your own shirt. Maybe laundry-day desperation made you realize you can’t even pull up a formerly too-snug pair of jeans you had been avoiding. You are angry with yourself for letting it get this bad, and you know this isn’t who you are meant to be. Getting to this point was easy, mindless. You say, “Life happened.” Kids, school, money issues, time pressures—everything became a reason you couldn’t make it to the gym or didn’t have time to eat better. Late nights at work made a stop at McDonald’s for dinner the path of least resistance. Takeout food seemed like a lifesaver, and soon nearly every meal came from a drive-thru window. You have to think hard to recall the last time you sliced up some vegetables. The mirror is not your friend. You look at your face and wonder how you didn’t see all the extra padding start to appear. You used to have cheekbones and a defined jaw. You used to wink at your reflection, excited to take on the day. Now you glance at yourself and regret doing so. You stare into those eyes and dare the old you to fight your way out. You know this reflection isn’t really you, and you want to change it. You just don’t know how to start. It’s not that you haven’t tried. It seems like everyone is an expert on how to lose weight. Take this pill. Stop thinking about bread. Drink this tea. Everything works for a short time. You are living proof. You’ve tried every approach and some of them more than once. You lose a few pounds, maybe more than a few. But the turnip-and-bacon diet gets boring, and pretty soon you are showing everyone exactly what you would do for a Klondike Bar. As the failed diets pile up in your rear-view mirror, you still have a sense that you will find the key—the holy grail of health—that will allow you to live life the way you know you should be living it: looking and feeling confident, capable, strong and healthy. The desire to lose weight has become background noise in your life. It’s just always there. Every single meal, in the back of your mind, you rate your food choices. Every day, you think about starting a new exercise program. Some mornings, before your eyes are even open, you lie there wondering if today will be the day you start going the other direction. What if yesterday was the last day you ever spent getting fatter and sicker? You can escape from this life you have allowed yourself to live. Outside the prison is freedom you haven’t had in years, maybe ever. Freedom from obesity. Freedom from regret. Freedom to move. It’s as simple as making a decision. Your journey will be built on thousands of decisions, but the first and most important one is your decision to change. Simply stop doing what isn’t working and start doing what will. Even if the words are faint, listen to the inner voice that says you can look and feel the way you want. It seems hard to believe, but is the life you are living now easy? Isn’t it harder to be embarrassed when you see someone from your past and watch him or her try not to react to your size? Isn’t it difficult to be out of breath after a flight of stairs, remembering that you used to be able to run a mile without thinking about it? The “hard” of becoming healthy is a breeze compared to moments like that. I won’t tell you your life is going to get easier right away, but it is going to get better. You are reading this letter because someone in your life knows CrossFit is the key to becoming healthier and reversing obesity and chronic disease. Or maybe you yourself instinctively know CrossFit is what you need. You’ve visited the website. You’ve walked past groups of box-jumping, kettlebell-swinging models of fitness and felt a primal stir. Guess what? We are your tribe. Don’t make the mistake I did for nearly a decade and put off CrossFit because you think you have to be fit to start. Just start. You’ll get fit. Don’t let another day pass without taking this vital step to reverse your direction. It’s going to be scary at times. It’s going to be hard. You are going to want to quit. But it’s also going to be awesome. It’s going to be exhilarating. You are going to feel so powerful, so in control and at peace with your body. Your focus will shift from dissatisfaction with your body to joy at what it can accomplish. You will start working with it instead of against it. You will start seeking out foods that will fuel your workouts instead of mindlessly snacking and suffering regret. Before you know it, you’ll be looking back at today as the turning point in your fitness journey—the day you started intentionally becoming fit. Each day, you’ll compete with the you of yesterday or last month. And you’ll win. Your appearance will start to reflect the changes you make in your head today. You will move with speed and agility. You will be able to lift heavy things and be excited about it. You’ll jump, drop, pull and flip. Trust me. You will. Then, one day, you’ll catch a glimpse of an athlete with the exact physique you want to attain, and it will take a moment to realize that he or she is you. I implore you to give this gift to yourself. Call an affiliate, email a trainer or go on CrossFit.com and become a student of the CrossFit lifestyle. Start educating yourself on every aspect of the program. Start practicing the movements. Go to a class or go out to your garage. This is the first of six articles by Kai Rainey. In the next five, she’ll be your virtual coach as you start a CrossFit program.